← Giving Chinese boots the boot! Apple TV: Designed by Apple in California. Assembled in China. 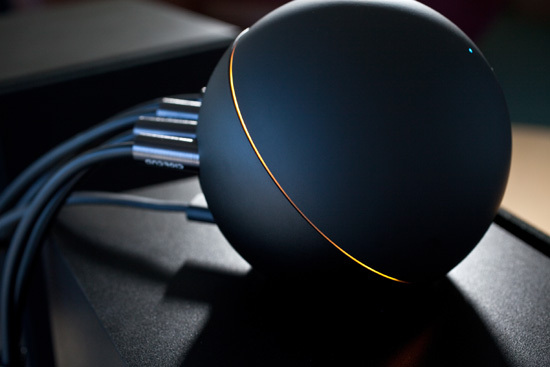 Google Nexus Q: Designed and Manufactured in the U.S.A. I think I will take the latter. I was overjoyed to read the other day that Google, unlike Apple, has decided to actually hire members of our extended American family to manufacture their new streaming media player. At $300, it’s more expensive than Apple TV or Roku. But the Nexus Q has more features than those products; for example it has a built-in 25 watt-per-channel sound amplifier that can run two sets of speakers. But its biggest selling point for me is that made on our shores. Way to go Google! This entry was posted in american made, Apple, Made in America, made in usa, Outsourcing, Reshoring and tagged Apple, Apple TV, China, Google, Made in America, made in america products, Made in the USA, Nexus Q, Streaming media. Bookmark the permalink.